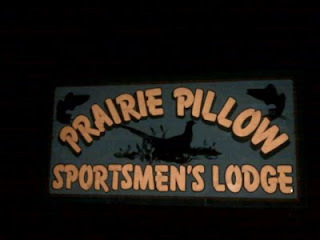 I was passing through N. Central SD looking for a place to spend the night and called this place because I like the name! Angie runs the lodge and is the owner, too, on land that's been in her family for over 100 years. Great rooms and main lodge with family style meals (I had dinner- pork loin, salad and potato and dessert). Amazing what you can find out on the prairie. They do guiding. pp@prairiepillow.com. 877-279-8285. This would be a great place to hit for a corporate good time or just a bunch of hunting buddies. On the way to ND today. Will hunt public land on the way.